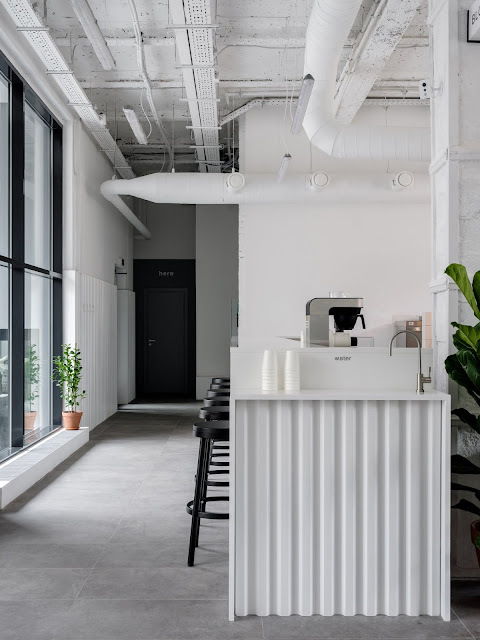 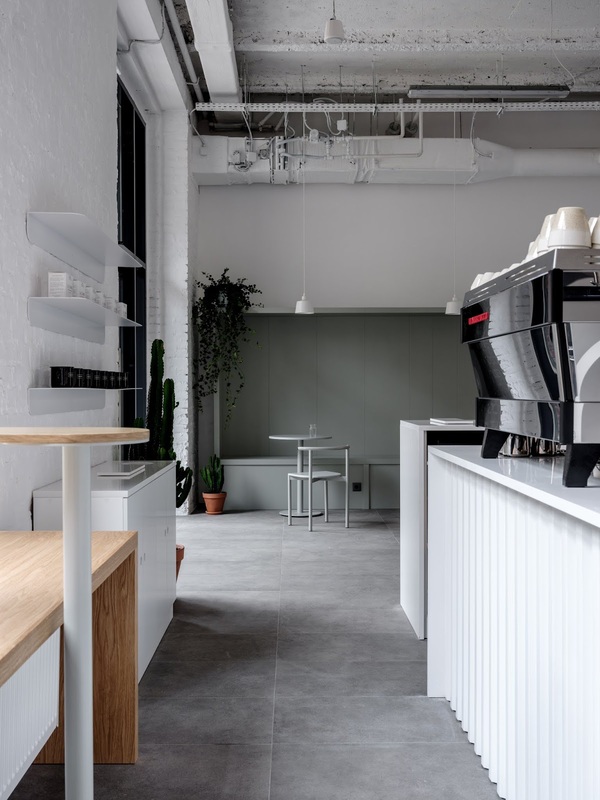 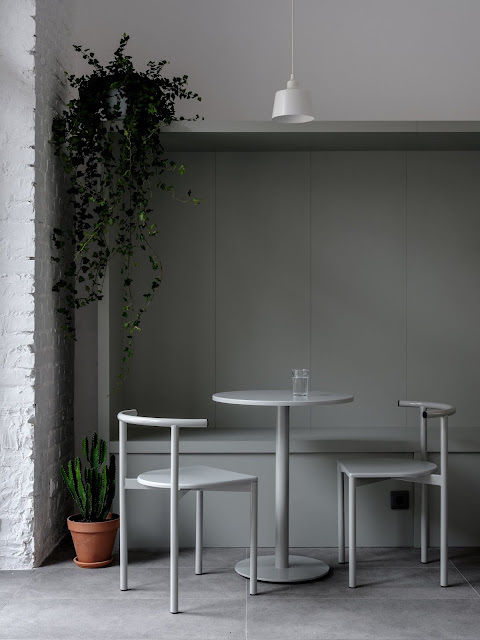 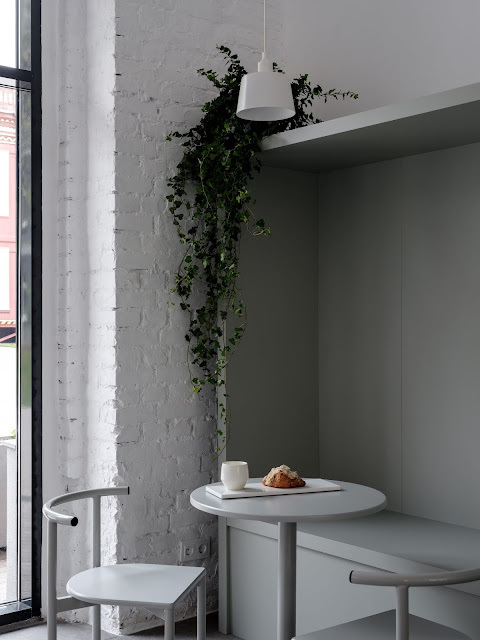 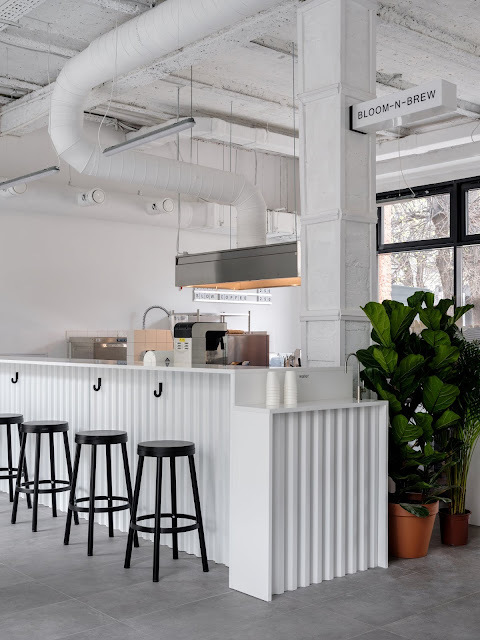 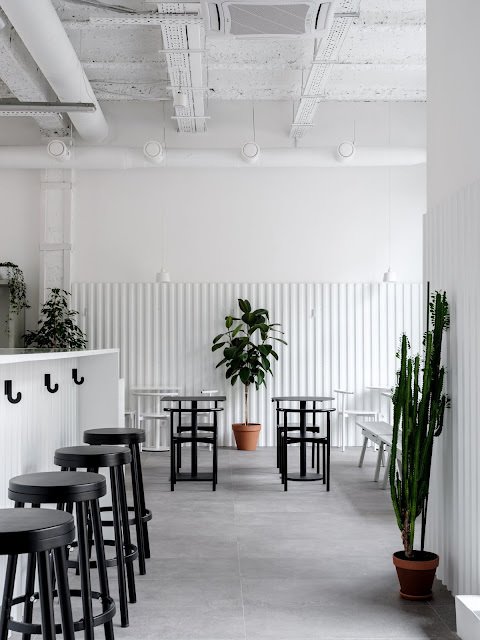 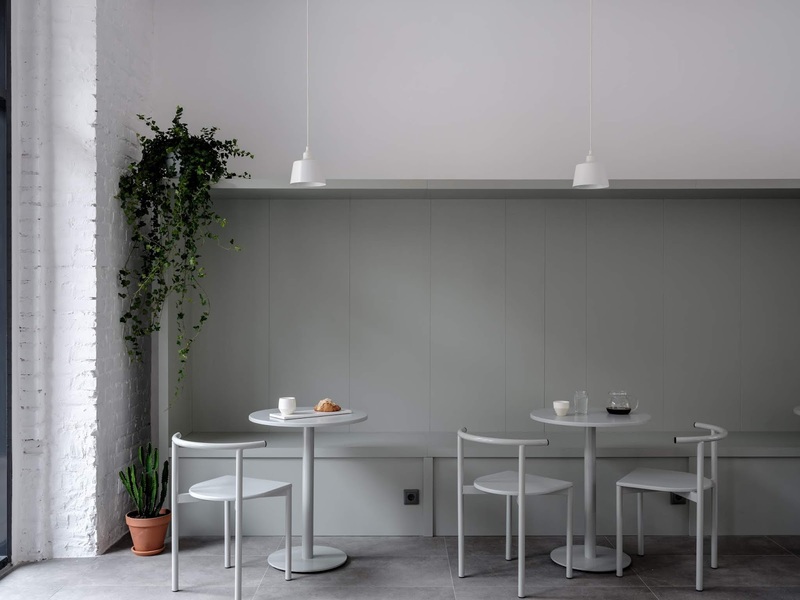 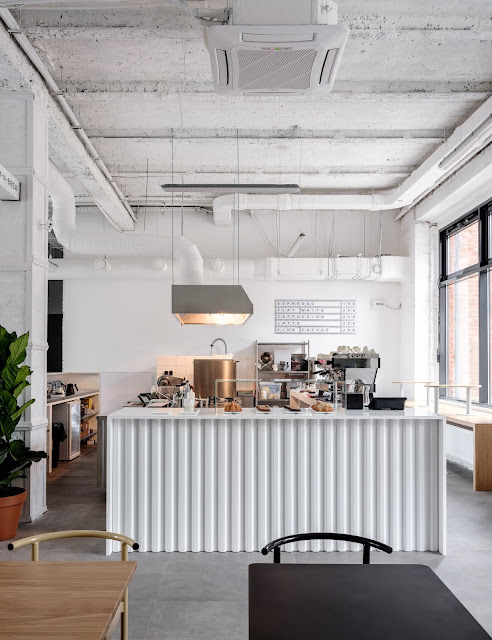 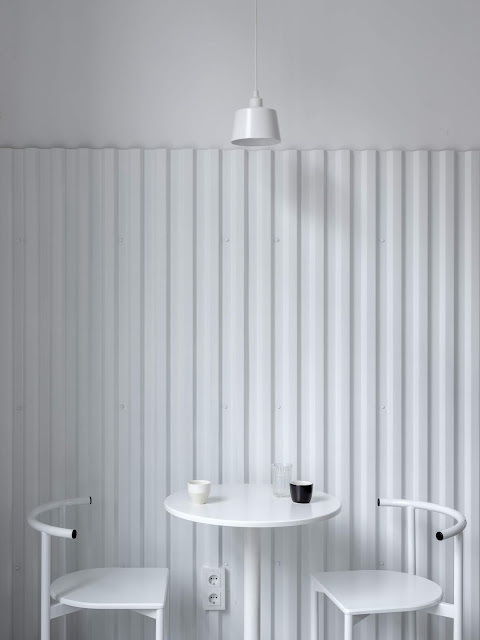 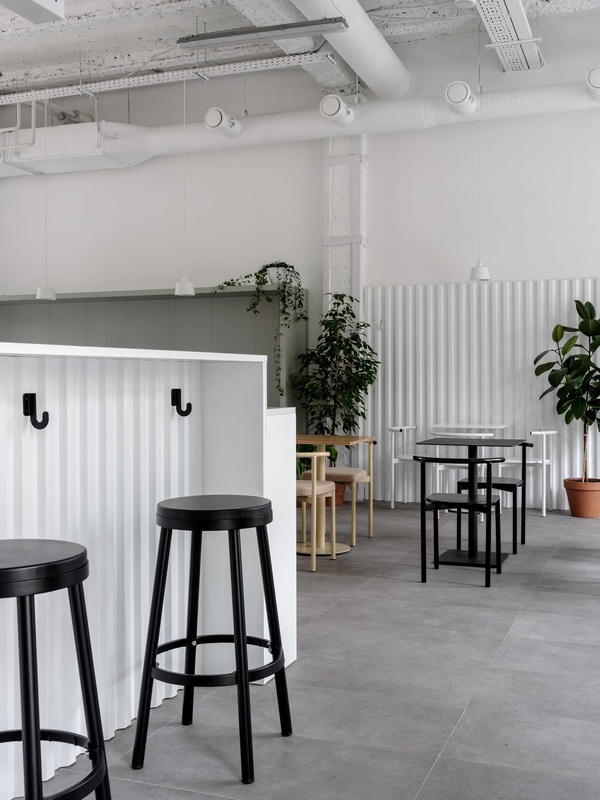 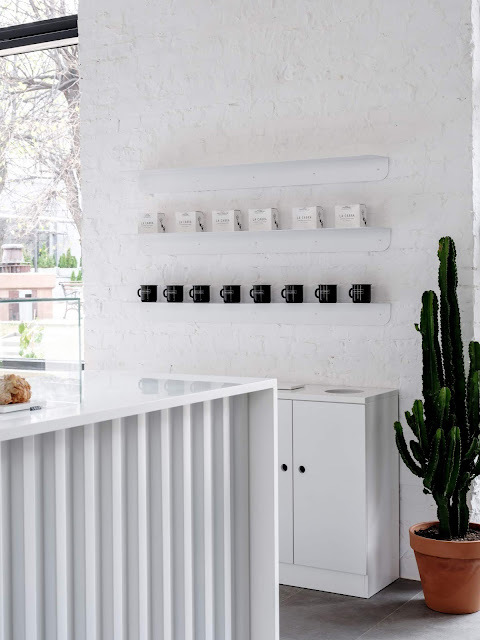 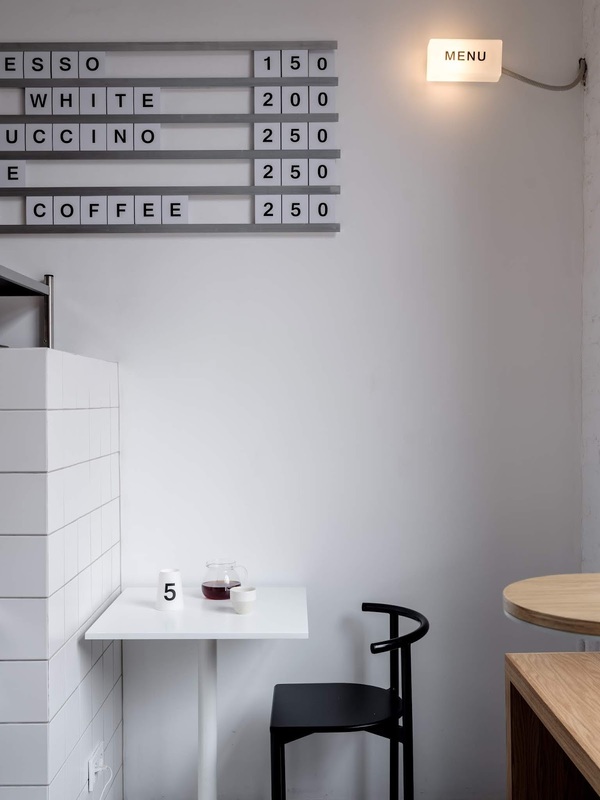 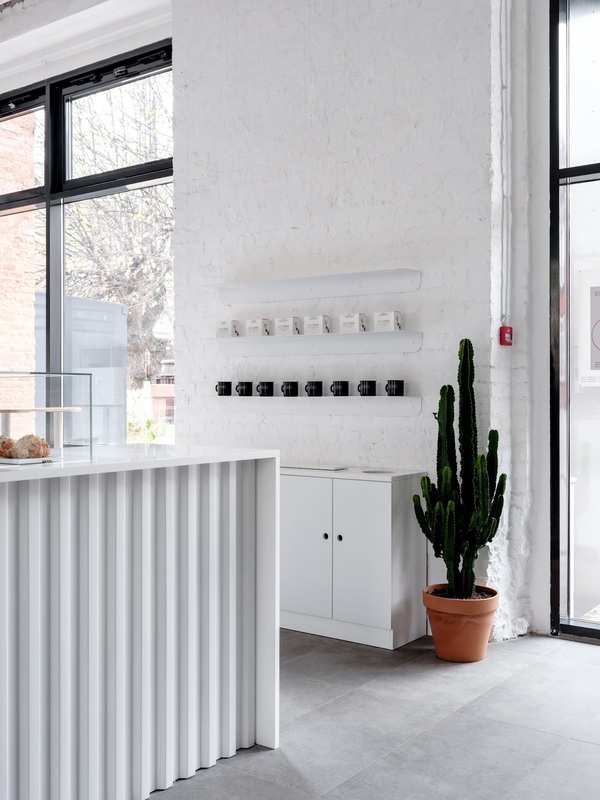 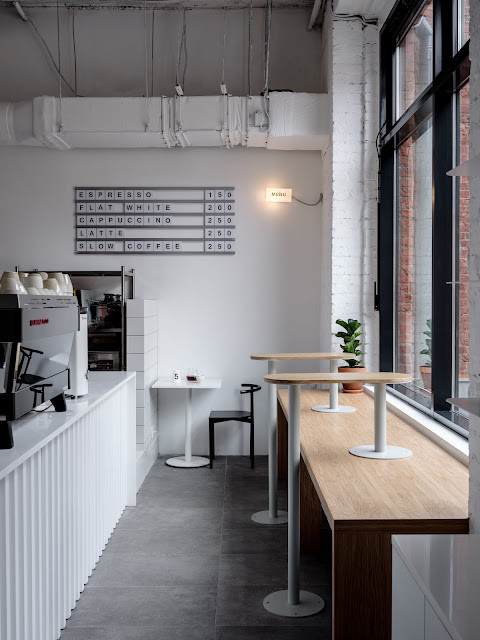 Moscow-based interior and product design studio Asketik designed Bloom-n-Brew, a minimalist coffee-space in Moscow in a former factory space. 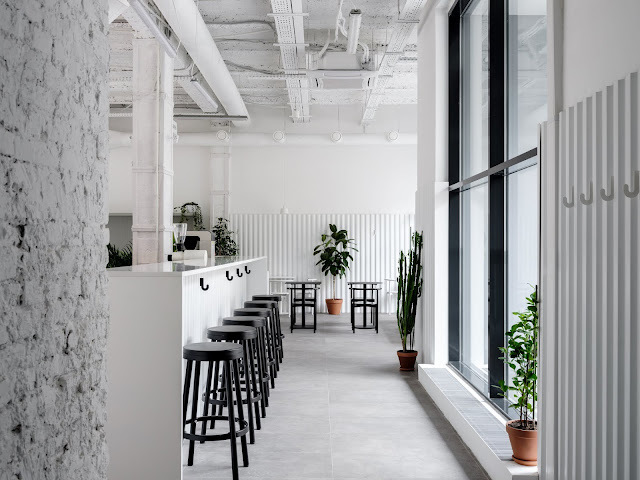 opens now on a former soviet silkworm factory. one small object in time it became full collection of furniture in one style with basic principle: minimum for maximum. Minimum form with maximum function. 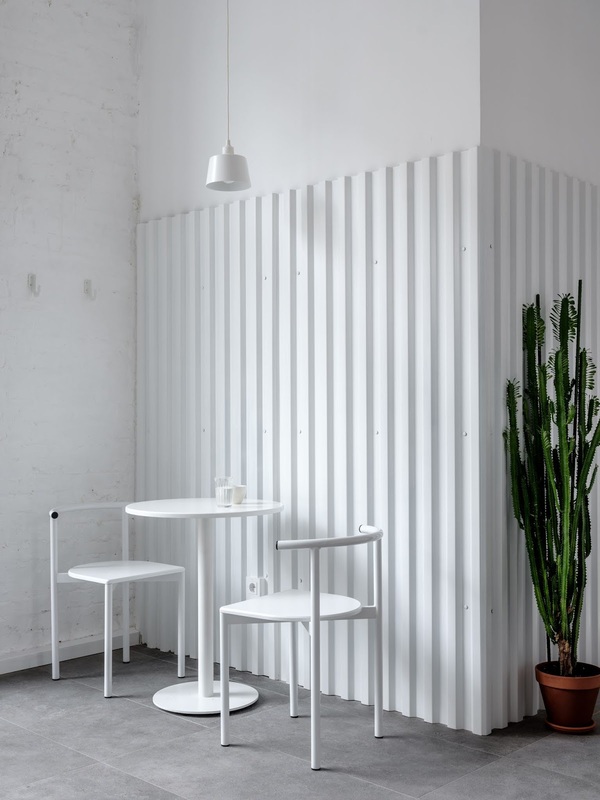 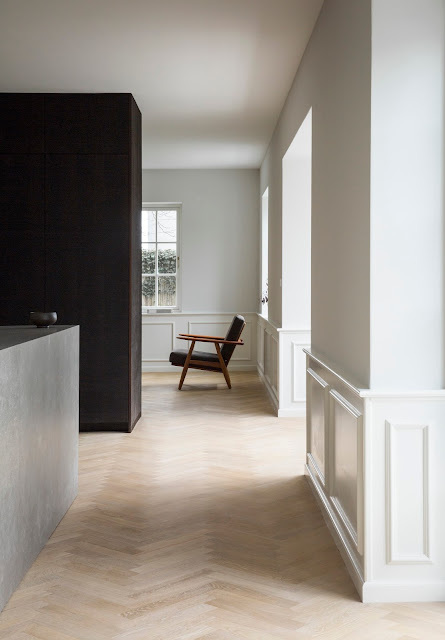 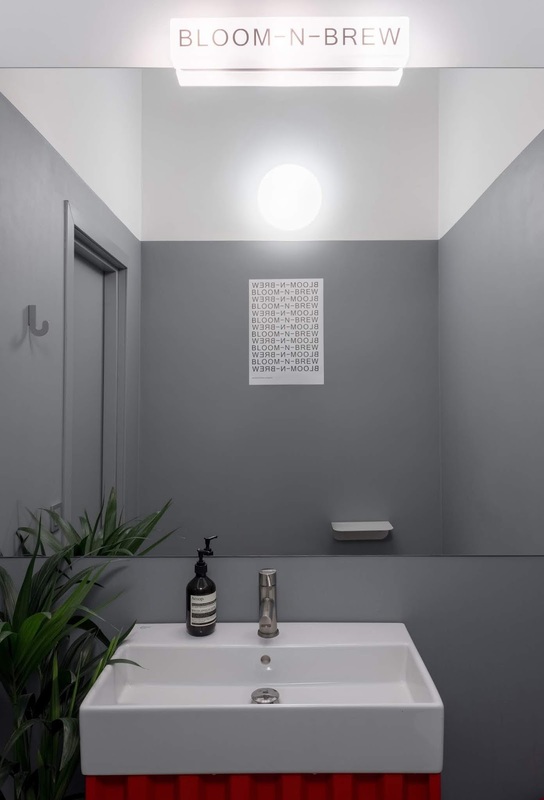 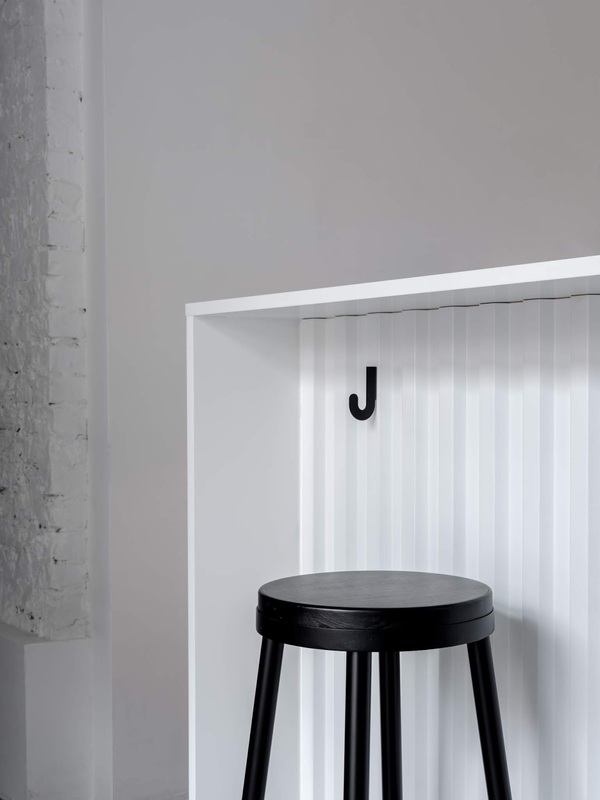 Asketik Studio is the new direction, which creates harmony in public and private spaces. 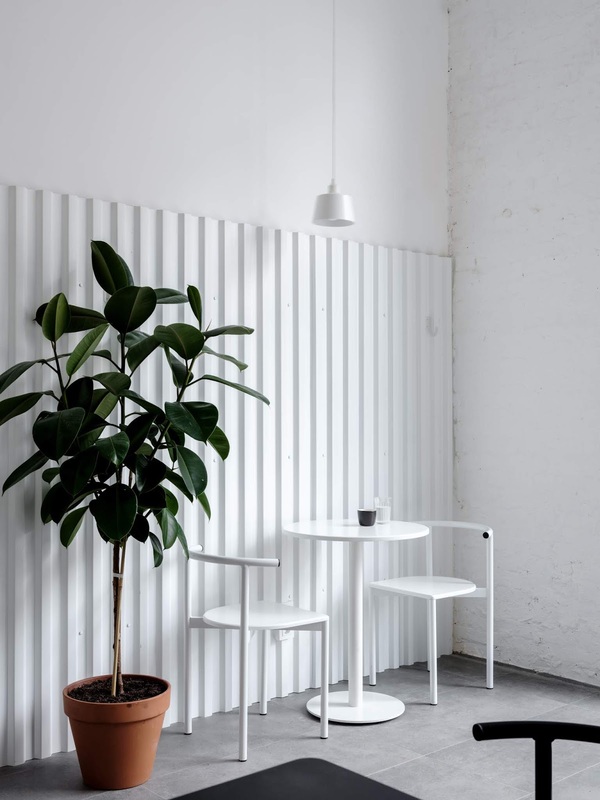 and plants reflect the original purpose of the space.